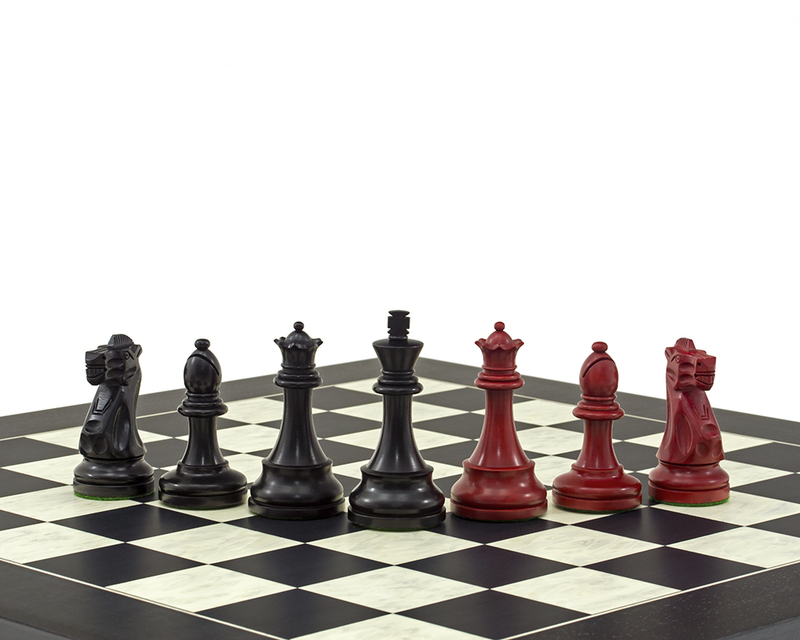 Striking black and red chess men. Ideal for 21.7 inch board. 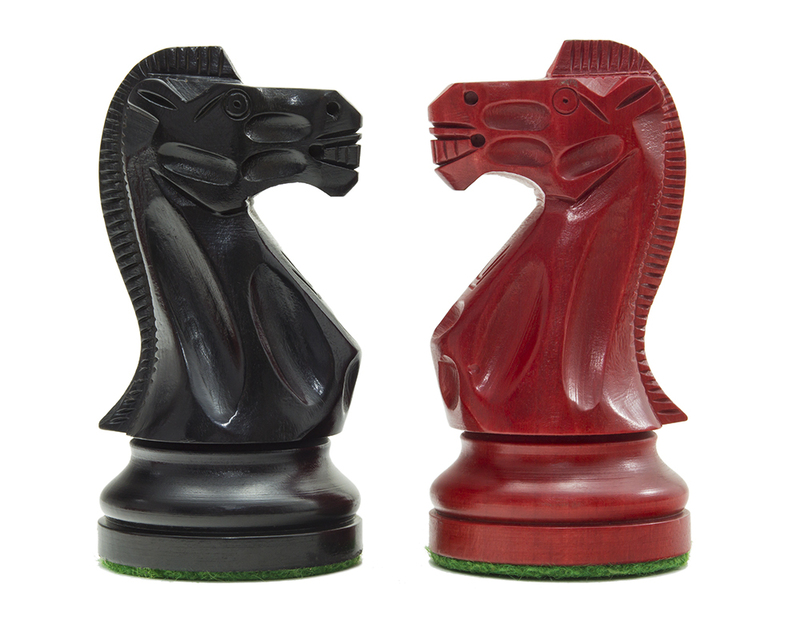 The Regency Chess Company is delighted to now be able to offer these striking red and black chess men. We welcome this unique set to the increasingly comprehensive range we have to offer. 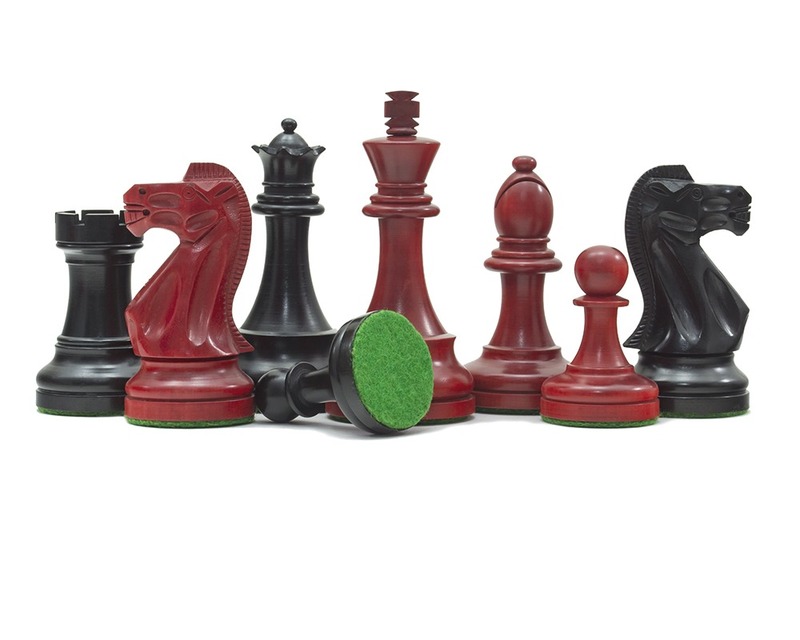 Based on the classic Staunton design, these unique pieces are exquisitely carved, stained and then polished by our master craftsmen. All the pieces are perfectly weighted and with the detail to their collars and smooth shanks, they are a pleasure to hold. The impressive King stands at 3.75 inches including his ornamental finial and the knight has a focused stare in true Staunton style. 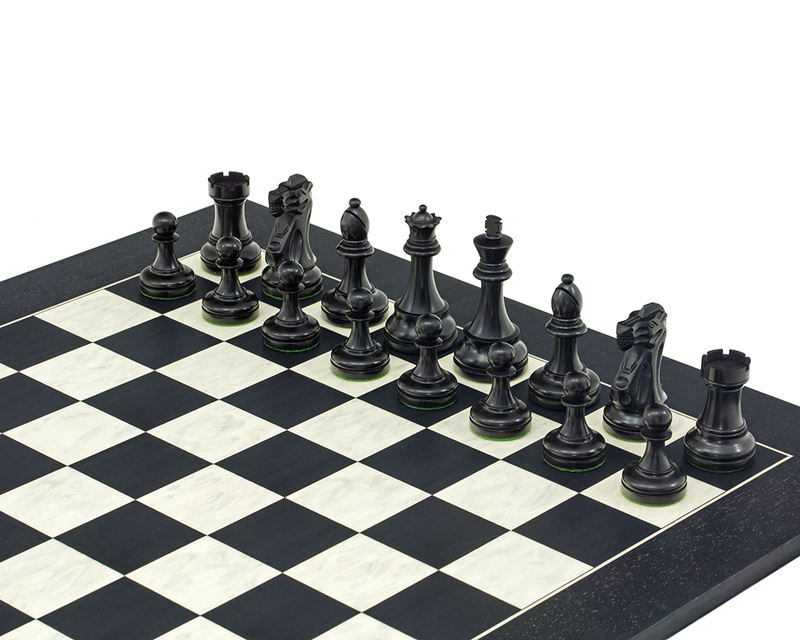 As these pieces have broader bases than normal, a 21.7 inch would be most suited to accommodate them. 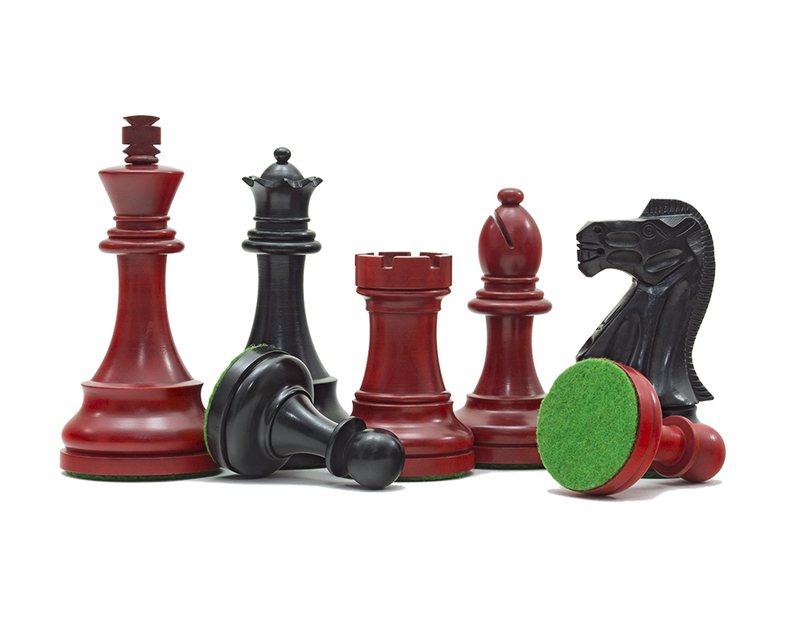 We have matched them with a stunning black and maple board from Spain to give you The Red and Black Broadbase Chess Set. 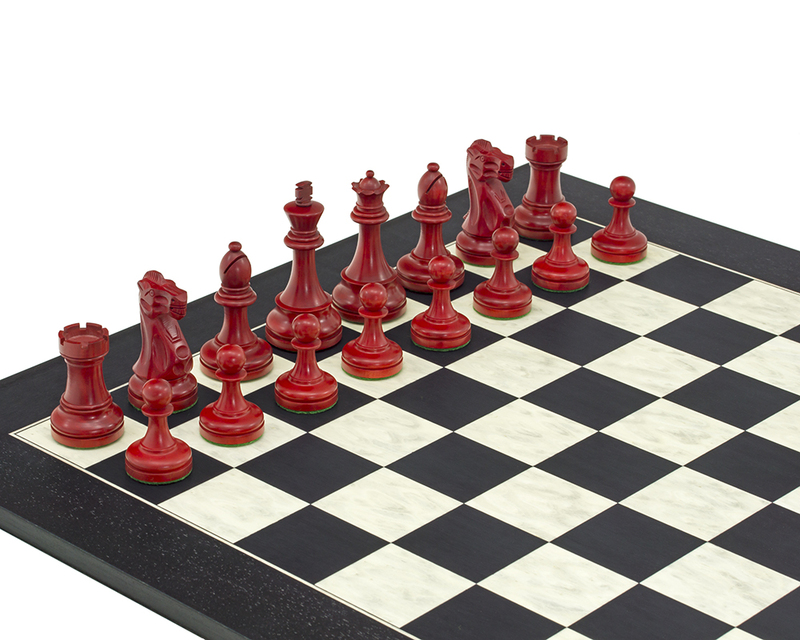 With or without the board, we think they are going to be one of our best sellers.